This is just simple garter with Merino Frappe. 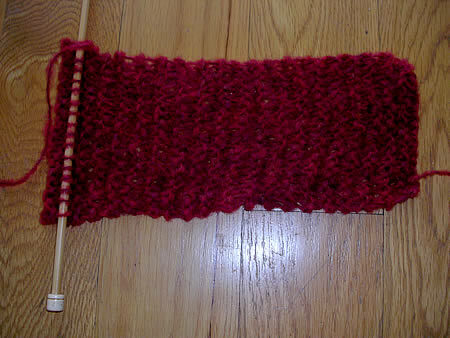 A way for me to practice Continental knitting....but really....I"m just in love with this yarn. It feels delicious!